(Mar. 31, 2008) The last explanation we will analyze here is what we are referring to as the “Brazilian hegemonic” explanation. This position holds that Brazil, given the much larger size of its population, economy, and territory relative to the rest of the region, is the natural hegemon in South American regional affairs. This position also maintains that UNASUR is a Brazilian initiative to more effectively allow it to promote its interests abroad. The first part of this claim rests on the undisputed size of all things Brazilian while the second highlights the protagonistic role of Brazilian foreign policy in the late 1990s and into the present century. 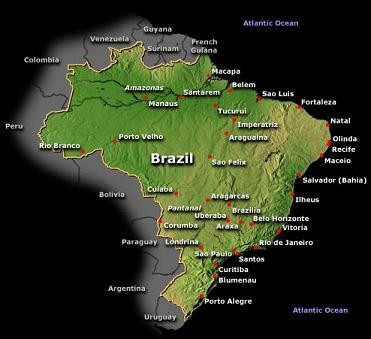 From a socio-economic point of view, Brazil represents about half of South America. To list some of its superlatives, the country itself is slightly smaller than the U.S., occupying roughly 50 percent of the continent; it is the home of more than half of the population and produces slightly less than half the total gross domestic product (GDP) of South America. Internationally Brazil is also a global power. It is one of the ten largest economies in the world, and has served on the UN Security council as a non permanent member more than any other country except Japan. These figures help give an idea of the international importance of Brazil as a nation, as well as the basis for those explanations that highlight the leading role of Brazil in the international system within South America. Supporters of the explanation of Brazil’s hegemonic role in the formation of UNASUR highlight the influential role played by Brazil during the late 1990s leading up to the Summit of Brasilia, convoked by then President Cardoso in 2000, and the first Summit of Heads of State of the South American Community of Nations (CSN), again hosted in Brasilia in 2005. These two meetings helped lay the foundations for the current process of integration. Brazil’s official foreign policy recognizes the strategic advantage the leadership role in South America gives Brazil by saying that “Brazil’s position as a global actor is fully consistent with the emphasis that we put on regional integration, and vice versa. In fact, our capacity to peacefully coexist with our neighbors, while contributing to the development of the region is a significant factor that underlies our international role.”  And in an Economist article in 2004 Celso Amorim, the current foreign minister said, “in a world likely to be dominated by blocks, Brazil’s best option is to co-operate as much as possible with its neighbors…”  This opinion runs counter to conventional wisdom that holds that large nations have more to lose by entering regional unions with smaller countries. In the case of Brazil this is due to a strong history of diplomatic multilateralism that will be discussed further in the section on Brazilian foreign policy goals.